SixAxis as Tilt-Sensing Robot Controller? Cool! This video speaks for itself, for the most part, so I’ll let it speak. They’re using a stock SixAxis controller, a PS3 (in hypervisor mode) with Linux installed, and a Gumstix controller w/ built-in Bluetooth to drive the six servos. You’re probably thinking, “Gee wiz, this sure is an awfully convoluted way to control a few servos!” Well… it is; but it’s unique, it works, and it’s a great proof of concept that will undoubtedly lead to more practical applications. With some more complex kinematic algorithms, this could be adapted to control the position of the gripper on a manipulator arm, the control surfaces of a UAV, the orientation of a wireless security camera, the motion and posture of a multi-legged robot, or any number of other cool motion control-related projects. The interactive art community should be all over this, as well. I don’t know about you, but I love to see accelerometer-equipped game controllers used for novel purposes such as this; mostly because game designers have so far failed to use these devices to their full potential. 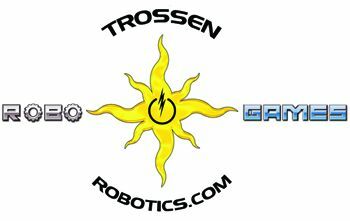 Trossen Robotics has teamed up with RoboGames ! We sell nifty robots and they run awesome robot competitions. Sounds like a match to us. We have signed on as a sponsor for their competitions and will be partnering on many initiatives in the coming months and years. We are very excited about working with RoboGames and look forward to watching them grow their exciting events. The next RoboGames is happening soon if you can make we highly suggest going!